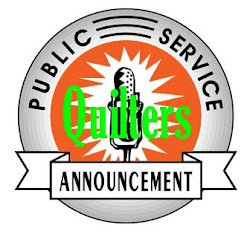 My friend Charmaine emailed me at the end of January and asked if I would be able to quilt for her a few baby quilts and a bigger quilt which she wanted to show in our guild show at the end of April. I knew that my insane cookie life wouldn't take over for 5 weeks so I said yes. Here are the baby quilts all finished. 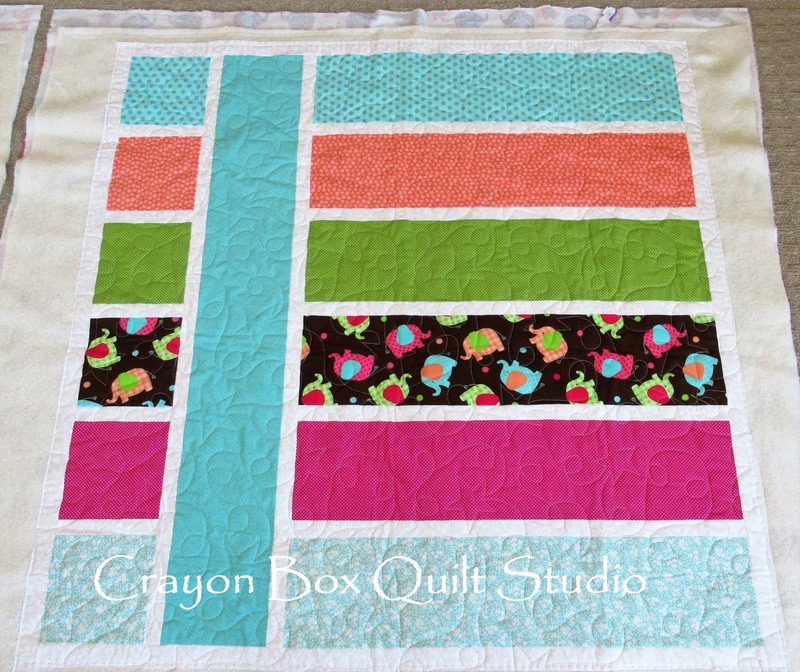 These 2 quilts are the same except that the long blue strip is opposite. The pattern is a cute one and suitable for featuring a number of fun prints while also using up leftover bits you might have stashed away. My quilt inspector had to check out my work before he was able to declare them acceptable. 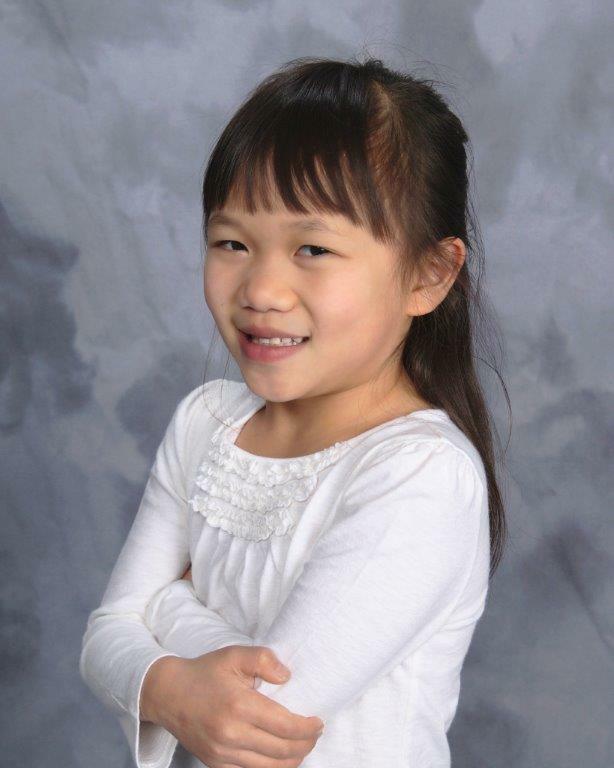 Charmaine chose the Shooting Stars panto for the baby quilts and it suited them well. 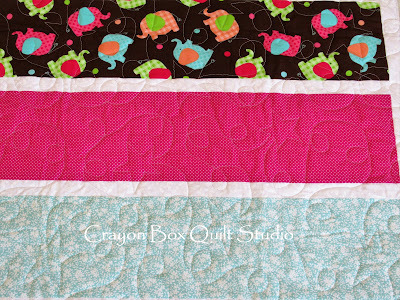 I used my favorite Glide thread in Cool Gray on the top and So Fine 503 in the bobbin. The Gray thread barely shows but there is nice texture all over. 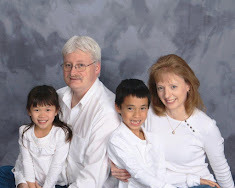 It's surprising how often a pale Gray thread works when others don't. Isn't the elephant print just adorable? 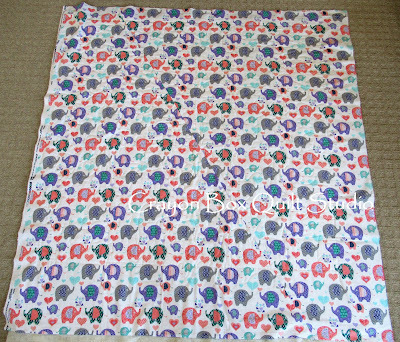 For the backing for all 3 quilts she brought me this cute elephant print fabric. 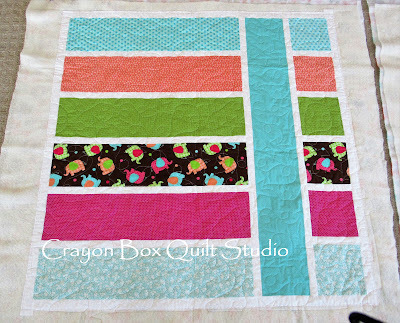 I honestly had never heard of piecing a backing diagonally before but I just might give it a try sometime. Lots of pretty texture with the pale Gray thread. The 3rd quilt is made with bright fabrics, which of course I love. 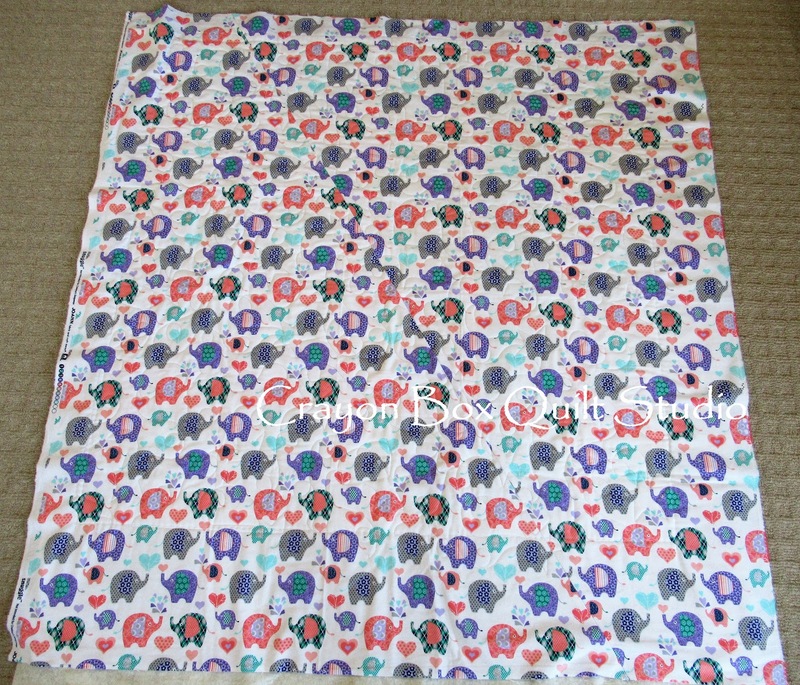 The same thread was used and it worked just as well to not overtake the piecing. I love the feature fabric on this one. Here they are all ready to be picked up. 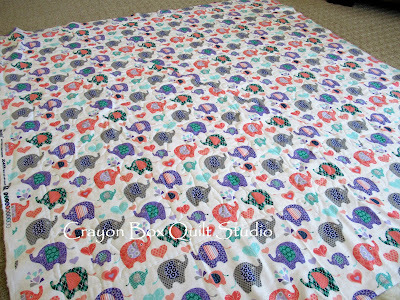 Charmaine was thrilled with the results and even brought me another top to quilt for her. 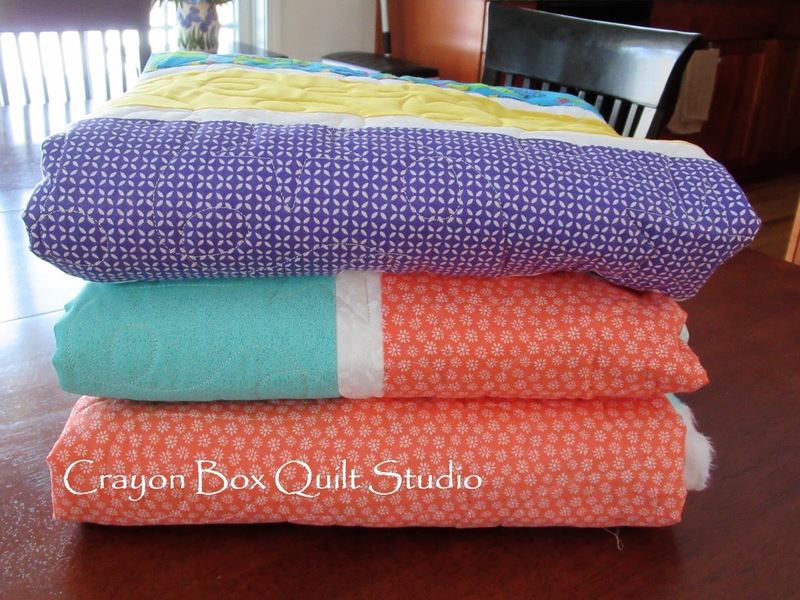 Thanks Charmaine for letting me quilt these adorable baby quilts for her. I had fun. 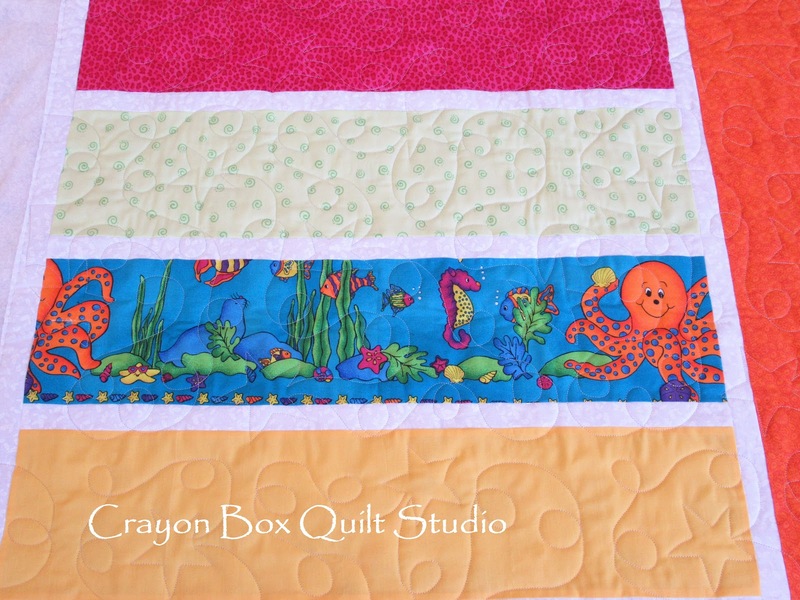 These are fun and adorable quilts. What pattern did you use? 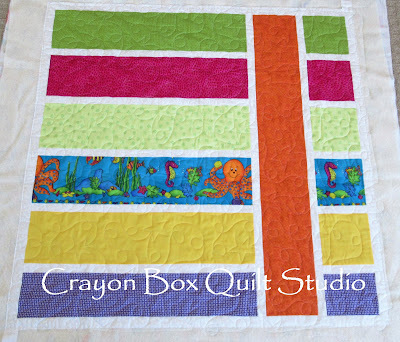 It is a great scrap buster quilt. That looks like a great pattern for showing off some fun fabrics. Beautiful and fun quilting. 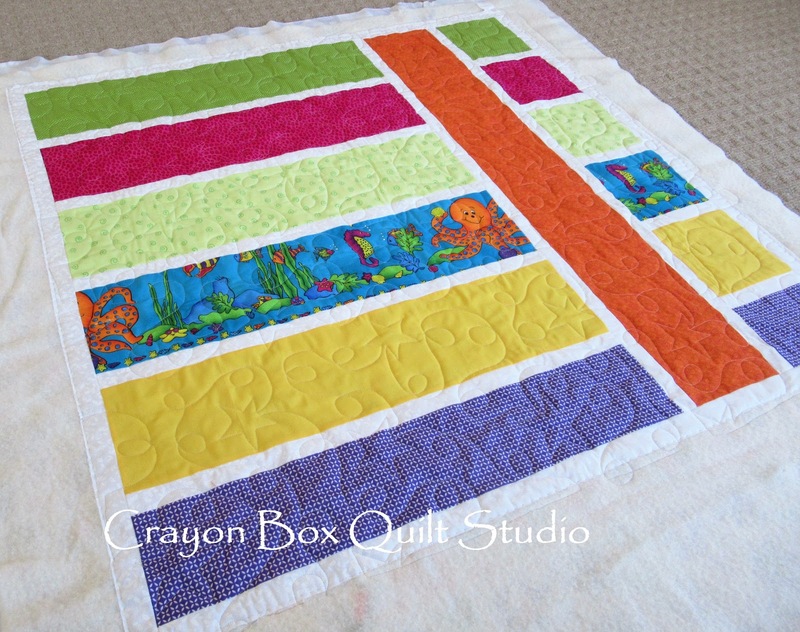 Perfect for baby quilts. I've never seen diagonal piecing either, interesting though. 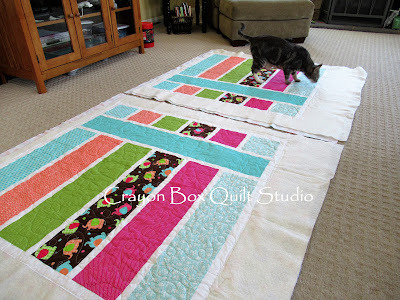 These are cute quilts. I love the shooting stars quilt pattern, it really adds nice texture. 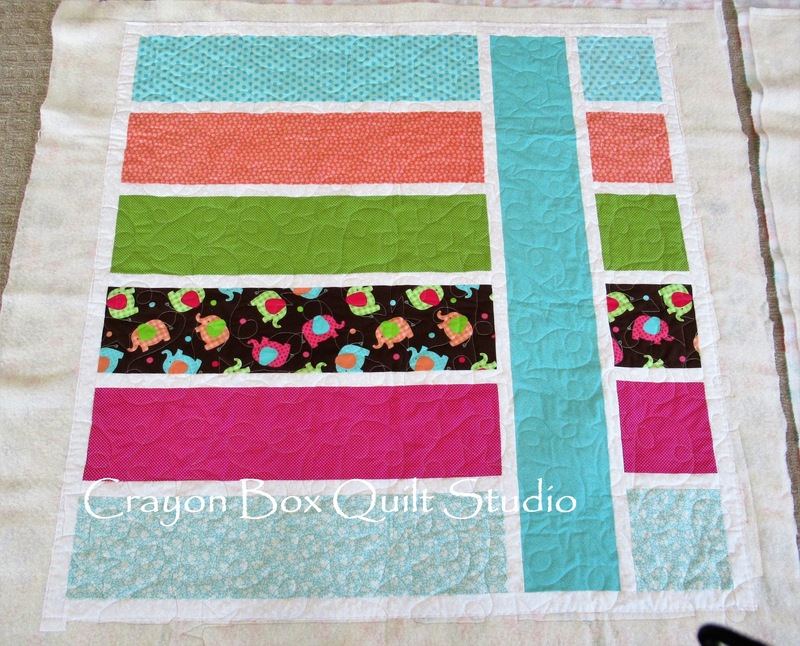 I've never used diagonal piecing. I'll have to check that out.